The decorative tile is a flower made of pottery (clay), painted on it with a cover called glaze. In this tile, a color painting technique, one of the techniques of glazing, has been used. In this technique, they are first prepared for a tile clay, then cooked in the oven and after cooking it is covered with tin glaze and placed in the oven and then painted on it with a mixture of glaze and coloring oxides and at the last stage It is again cooked in the oven. 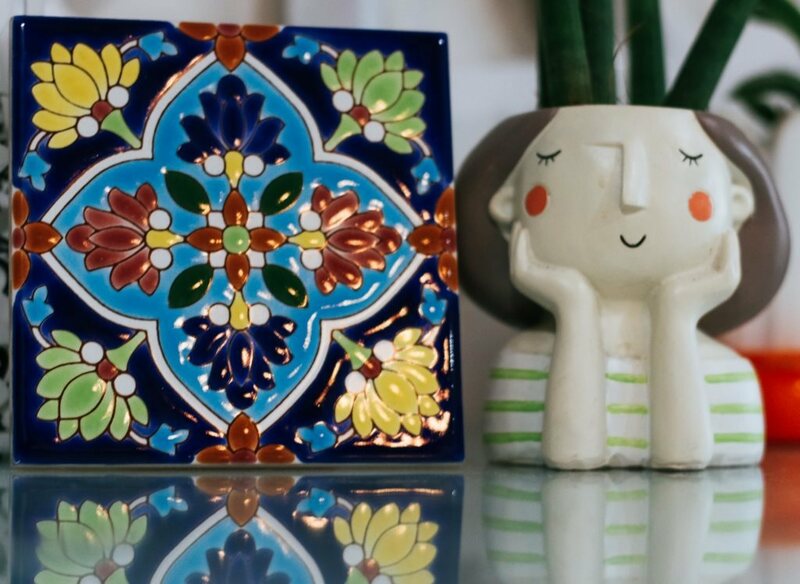 The motifs used in this tile have been used for traditional flower tiles and common shrubs in traditional Iranian tiles. Today, thanks to its beautiful color and design, I have a lot of followers. This decorative tile can be installed on the wall, placing a large number of decorative tiles together can make it more attractive.